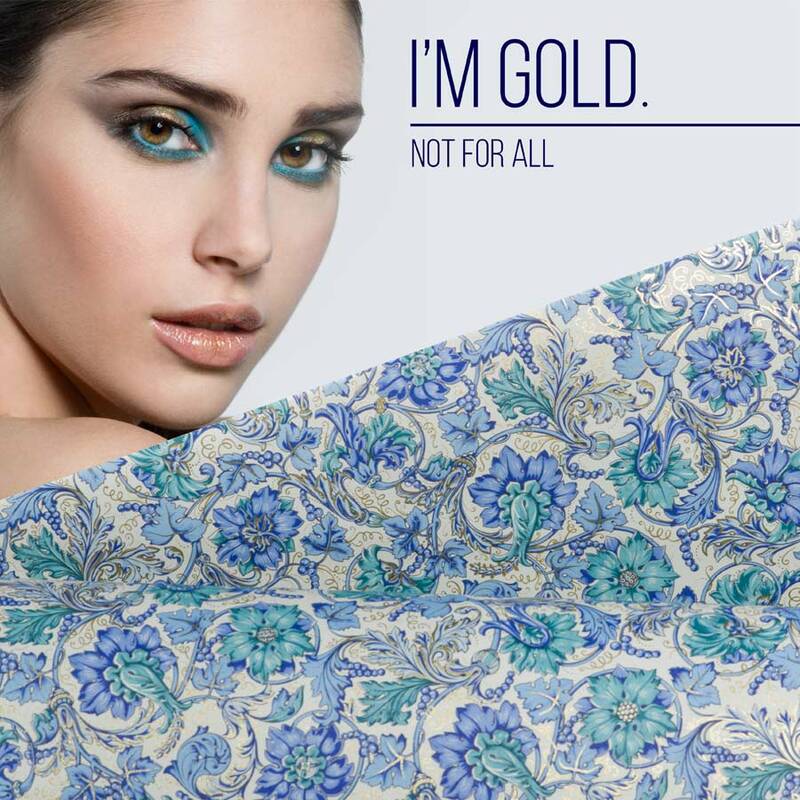 A fine selection of decorative Italian Paper available in two different sizes cm. 70 x 100 cm ( 28 x 40 “) e 50 x 70 cm ( 20 x 28” ). Superbly printed on first quality sheets of 85 gsm with special techniques, this wide range of decorative papers was inspired by traditional Florentine designs of the Renaissance but also includes contemporary alternatives with modern and innovative subjects. Besides the normal use for wrapping boxes and gifts, it is particularly suitable, with excellent results, also for every kind of production in the manufactory of paper products, bookbindery, creative and artistic hobbies, scrapbooking, origami, DIY, decoration and découpage. Personalized prints and packaging are available on request. 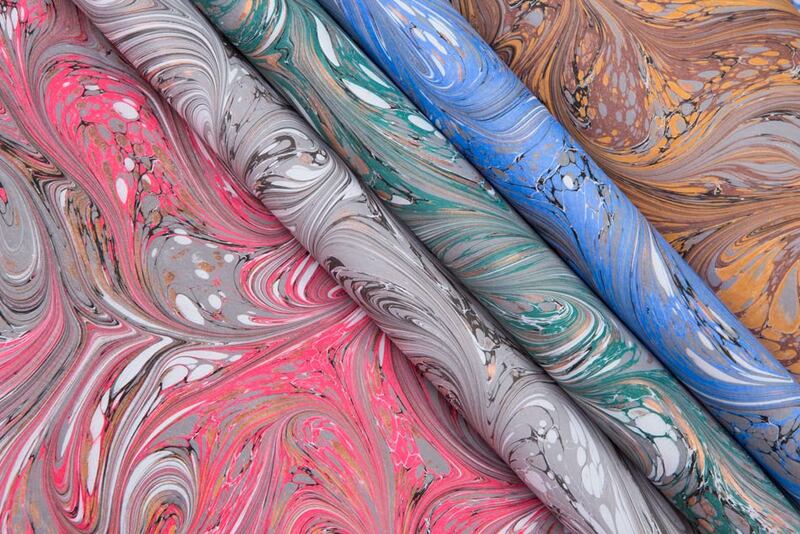 Marbled decorative papers – handmade, limited edition. “Marbled” or “à la cuve” decoration comes from a long tradition, which probably originated in Japan or Persia and has been used in Europe since the sixteenth century.This technique, which requires great skill and precision, reached its apex of development in Italy. A basin is filled with a gelatinous, vegetable-base liquid, which is then surface sprayed with different colors. While the colors float on the surface the craftsman, using combs or wooden rods, creates images by moving the colors so that they spread and blend together on the surface of this liquid. When the pattern is completed, the papers are gently placed on the surface of the liquid without disturbing the design. Only a few seconds are necessary for the paper to absorb the colors and the decoration is completed. The great skill lies is being able to reproduce the same pattern for serial production.